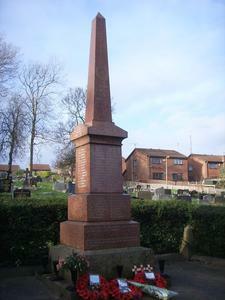 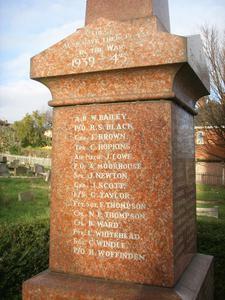 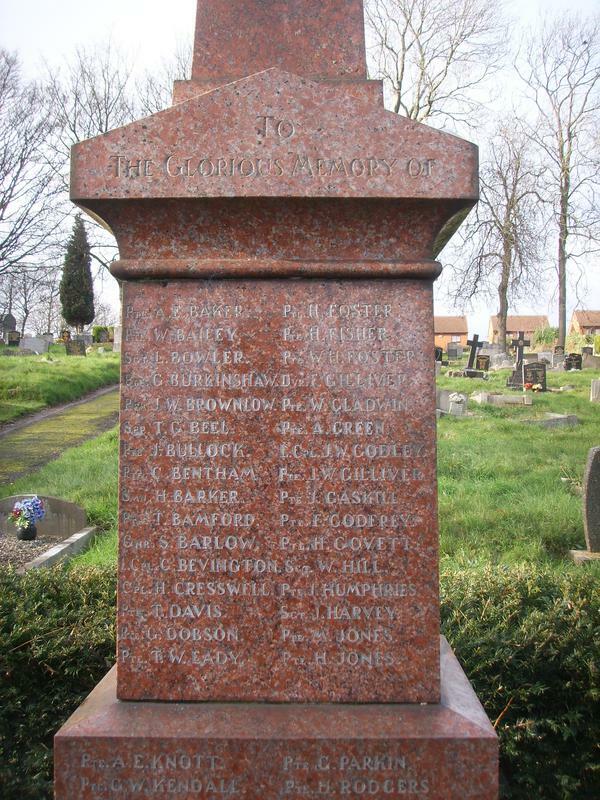 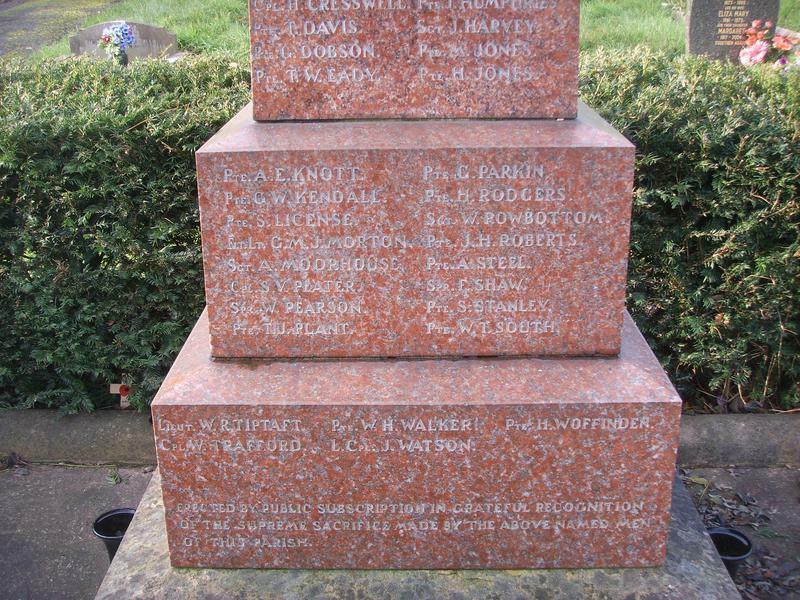 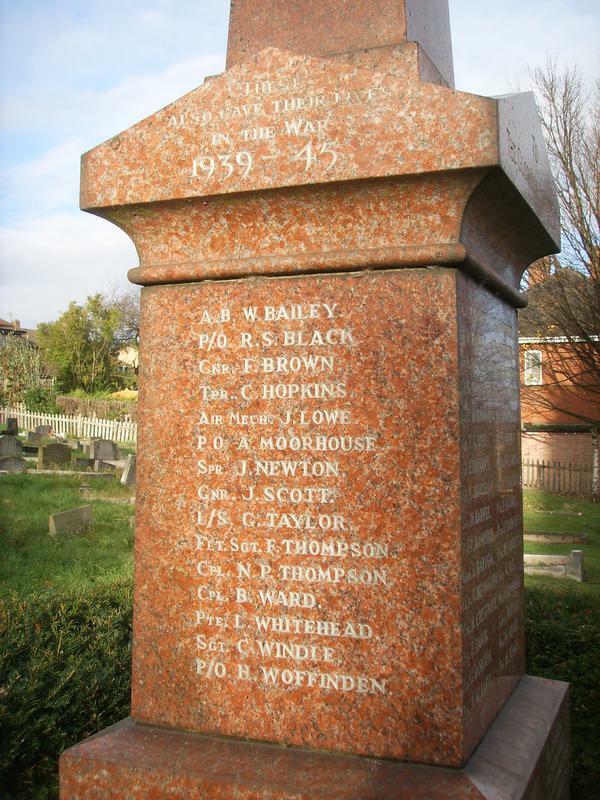 Red polished marble obelisk on 3 section plinth (bearing names) on 2 step granite base. 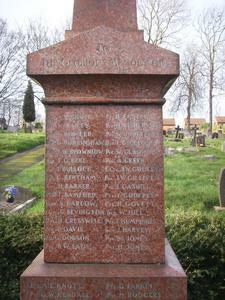 Lettering incised and gilded. 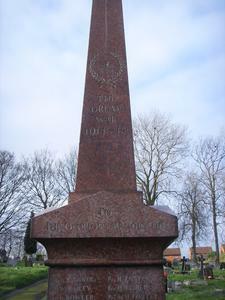 Laurel wreath with crown incised on obelisk above inscription.